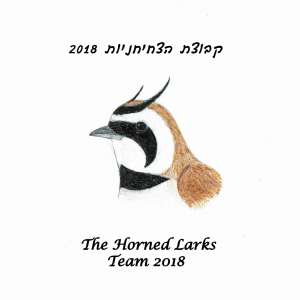 We the Horned Larks are an enthusiastic group of young birders. We really love the nature and birds that we have in Israel and we will not let our great environment disappear!!! We are participating mainly to save our birds and to enjoy the experience and not necessarily to win. Each one of us lives in a different area and environment and what unites us all is our love for birds and birding. Our aim is to raise money to help migratory birds and to fight the horrible slaughter that occurs along their migration routes. Donate to our team and help us to save the birds!!! I started getting into wildlife and nature gradually when I was 11. It didn’t take long until I found myself waking up in the middle of the night to go look for wildlife and now birding is a great hobby that you can never get enough of. My favorite bird in Israel is the Eurasian Eagle Owl and I hope to see its relative- the Pharaoh Eagle-Owl in the race. My name is Itamar Karasik and I’m 16 years old. As a young boy I grew up near the sea but now I’m very much connected to the desert landscape, while learning in Sde Boker environmental school. I am addicted to birding for many years, because of the birds and because of the good friends. This is going to be my second race. I am excited and can’t wait to start! In this race I wish to myself to see Subalpine Warbler, Golden Eagle and Lichtenstein’s Sandgrouse. I love to take pictures but I think that the important thing is the moment when I see the bird. For these special moments I can go a long way, wait a long time to see special birds and I don’t stop, until I will see the bird. The race helps to preserve birds and nature and I am proud to take part in it! 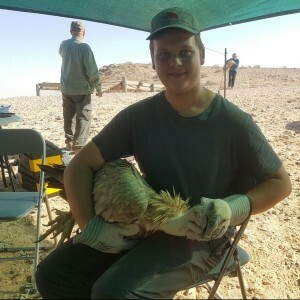 My name is Uri Stoffman and I am 14.5 years old from Tel Aviv. 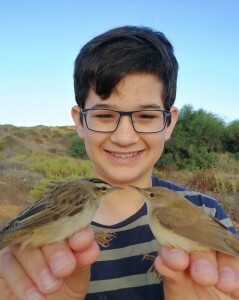 I love birds and nature from very early age, and at age 10 I joined to Tel Aviv youth birding group, and there I was sucked deep into the amazing world of birds. My favorite birds are the European Robin, Hawfinch, Long-eared Owl and Golden Eagle. The last one would be a lifer for me and I really want to see one of the last ones we have in Israel. Winning the race is not the reason that I am taking part in the race. 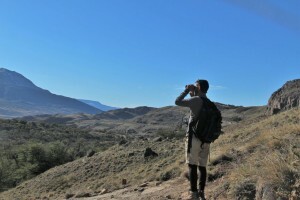 I compete in order to save our birds, and also to have a great birding experience.